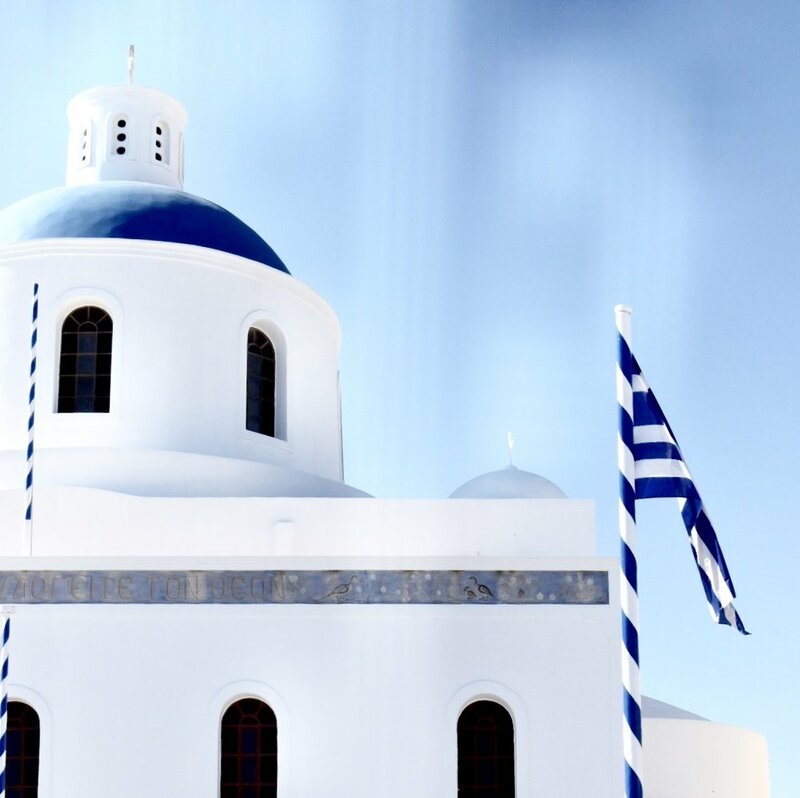 Believe it or not, the iconic white streets and blue domed churches of Santorini are actually even more beautiful in real life! 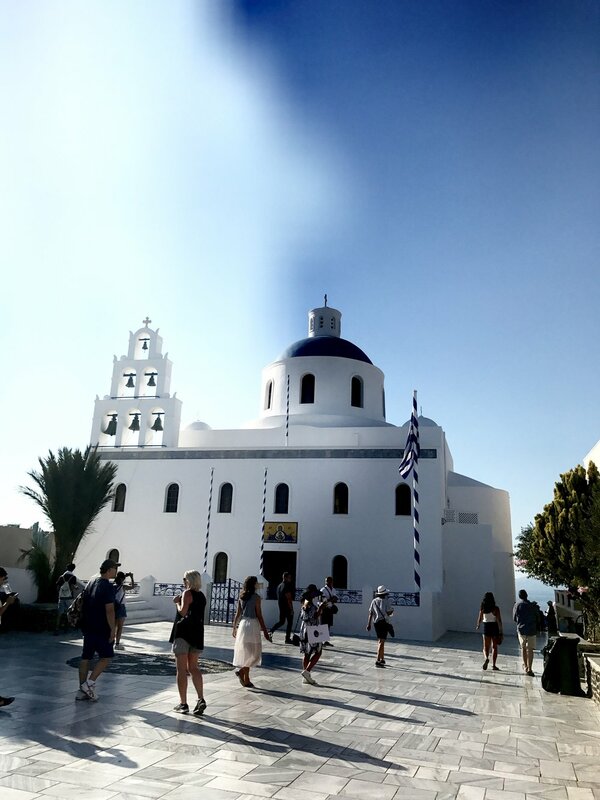 As you wonder around the island, you immediately get emerged in the deep routed history, with stunning old churches on every corner and whitewashed streets full of beautiful, traditional houses. The locals are fiercely proud of their island and so keen to look after every visitor. 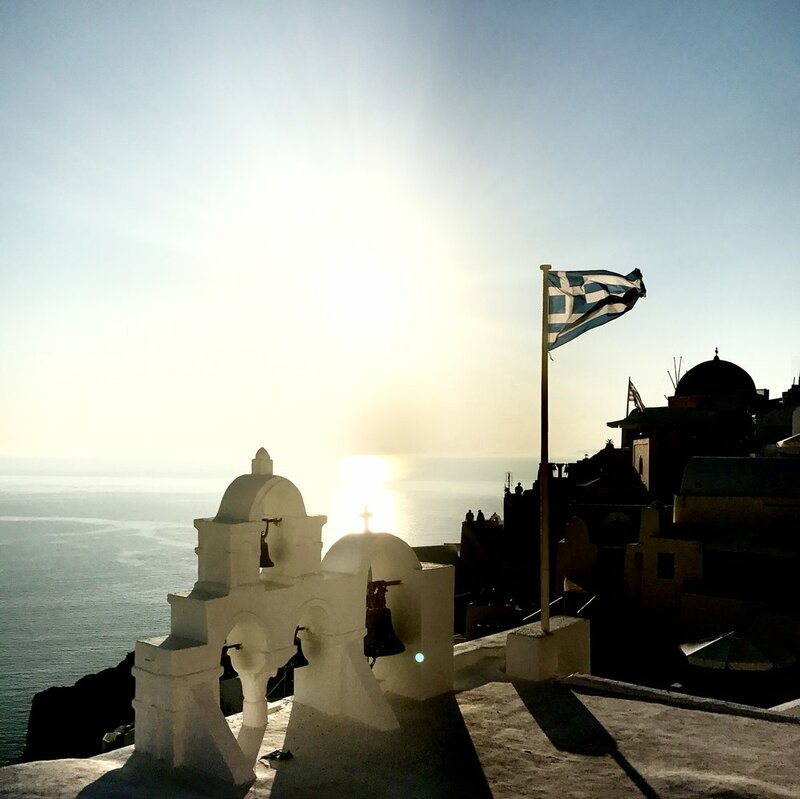 And with some of the most beautiful sunsets in the World, you can see why Santorini is a popular destination for couple's retreats, weddings and honeymoons. 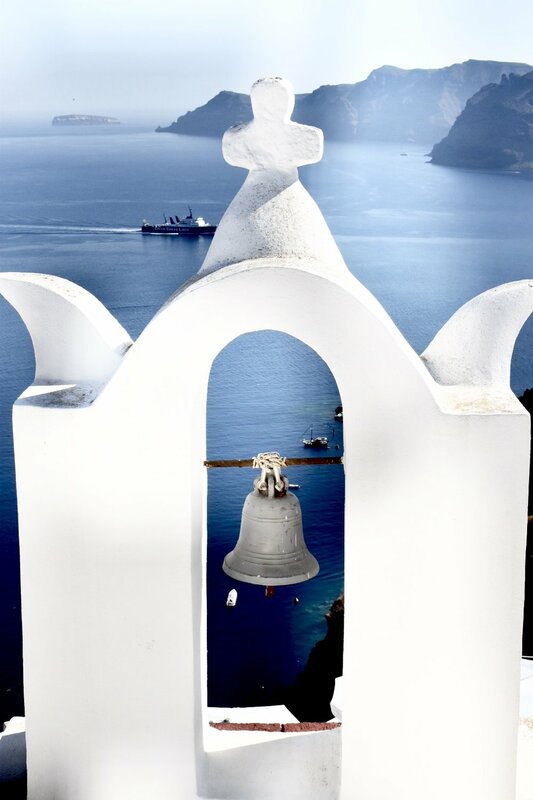 Grace Santorini in Imerovigli - The award-winning boutique hotel features luxurious accommodations with panoramic sea views and a stunning infinity pool overlooking the Caldera. You'll need to book months (sometimes years) in advance, but it is well worth the wait! Check out the huge array of options on AirBNB. We stayed in a gorgeous apartment called Mardanza Cave House with some of the best views of the Caldera for a fraction of the price of many hotels in the area. 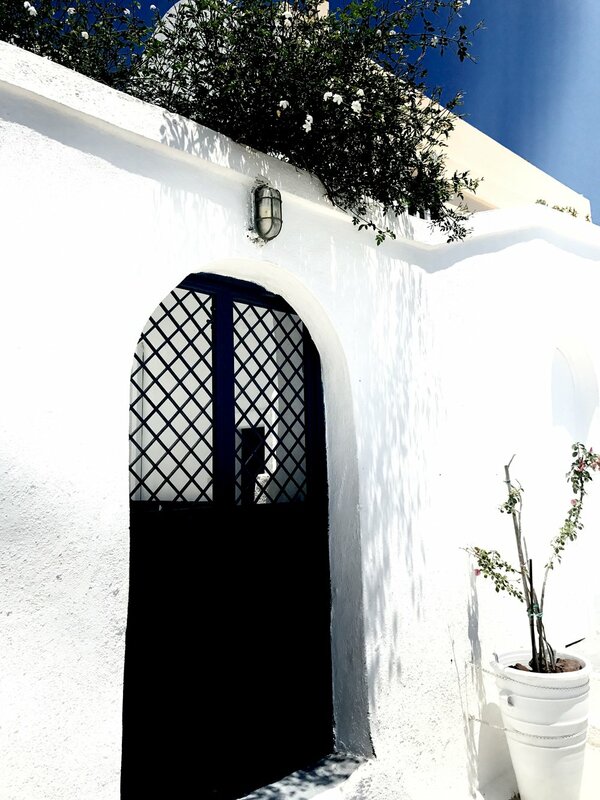 I would highly recommend staying in Imerovigli as it's walking distance from the main town of Fira and only a short cab ride to Oia. Roka (Oia) - Traditional greek food with a cosy atmosphere. The restaurant is located just off the main strip so is more affordable than most in the area. 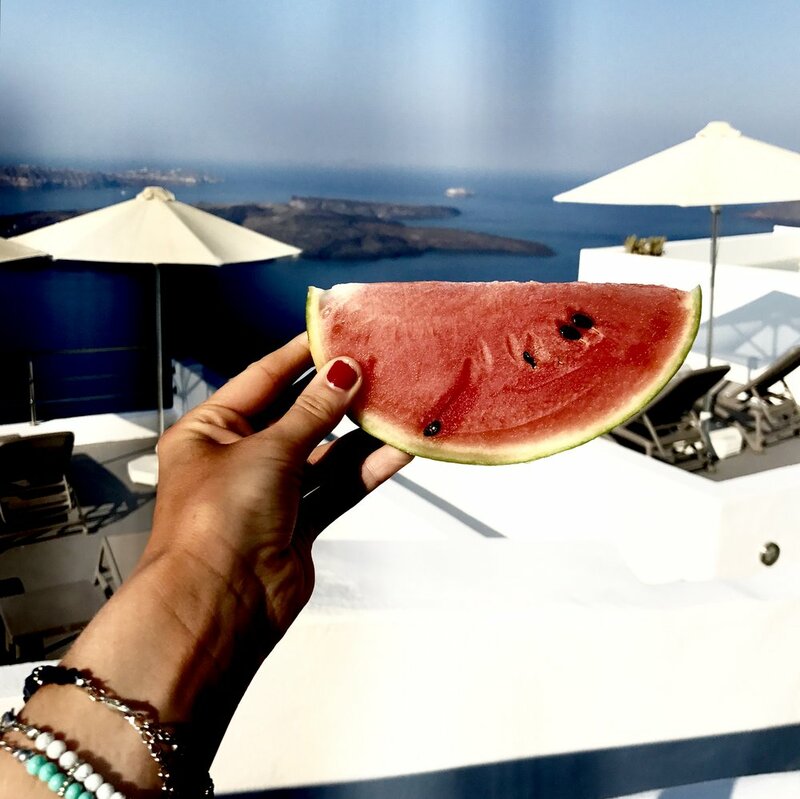 Ammoudi Fish Taverna (Ammoudi, below Oia) - Considered the best waterfront dining experience in Santorini, Ammoudi is the best place to visit for sunset views and beautiful, fresh seafood. 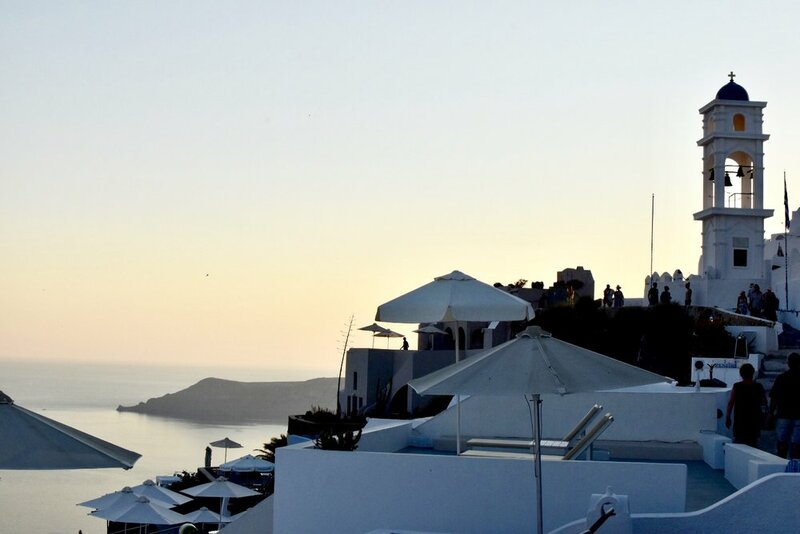 Mezzo (Imerovigli) - Set in a beautiful old mansion, Mezzo has some of the best views of the Caldera and Oia, and serves an array of high end Greek food. 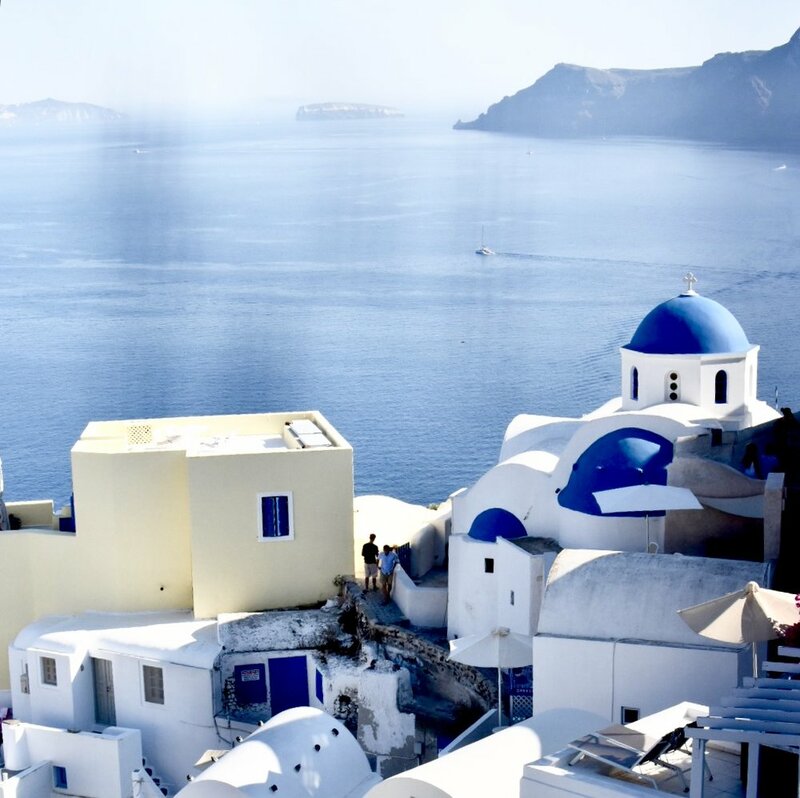 Wine Tours - Santorini is known for some of the best wineries in the world, so I would highly recommend taking a tour of the local vineyards in Fira and buying a crisp white wines to enjoy whilst watching the sunset. 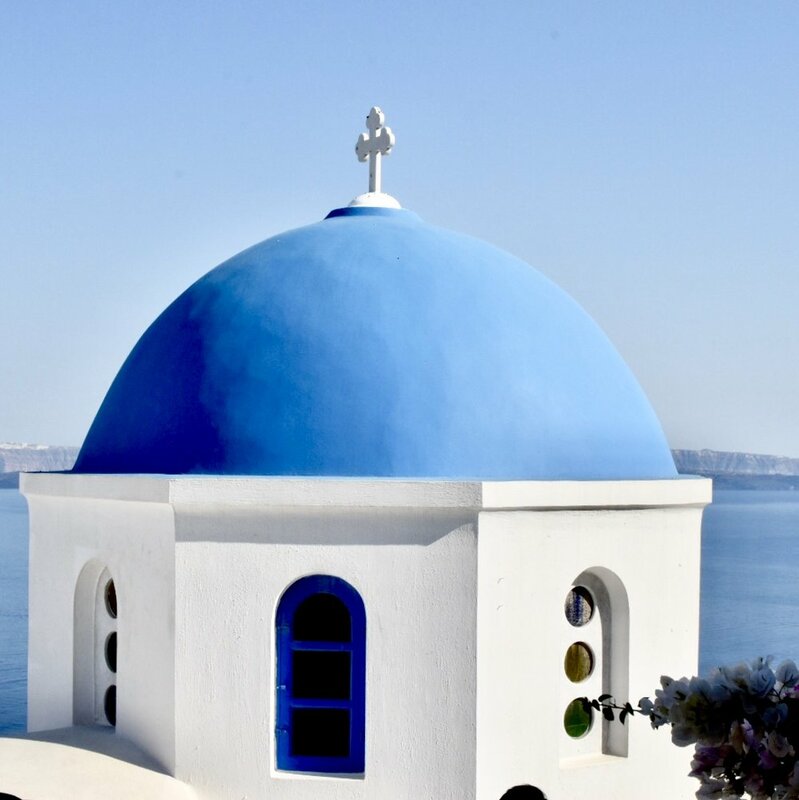 Visit the volcano and swim in the hot springs - Santorini is renowned for sitting atop an erupted volcano, and there are two small islands of black lava in the centre of the basin. 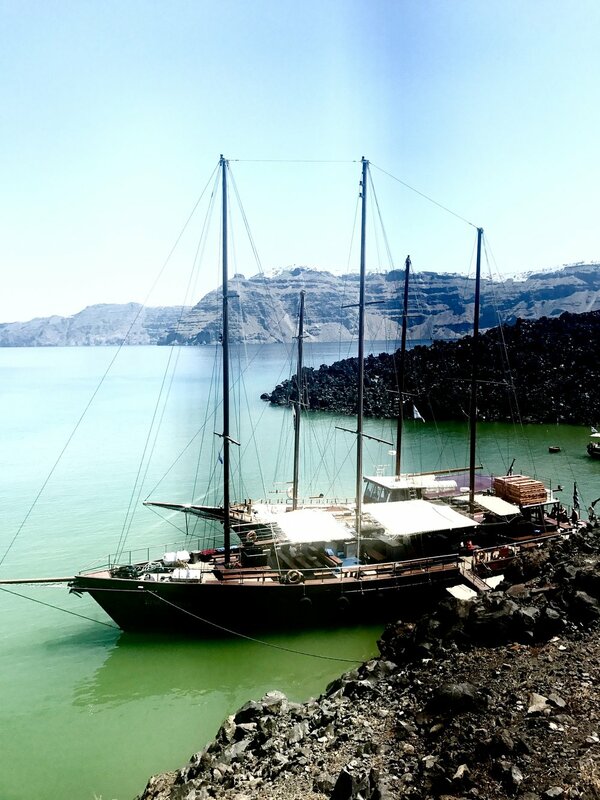 There's a huge number of tours to visit the islands, but I would highly recommend paying a little extra and sailing on one of the smaller boats as we had a pretty dire experience with one of the big tour companies! The best part is swimming in the hot springs, and the smaller boats will take you to the best spots away from all of the tourists. 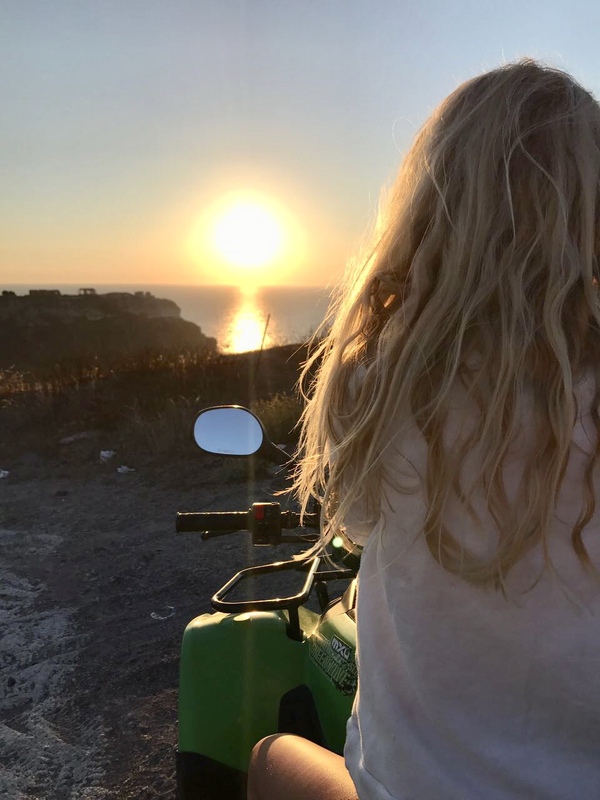 Hire a quad bike - By far the best way to tour the island is by quad bike! You can cover most of the island in one day and it'll give you access to all of the beaches, vineyards and some incredible hidden restaurants.